Macro Lens is a special lens which makes it possible to get a larger magnification such as 1:2 or 1:1 Optically. The word Optically is important as because if you crop a picture to make the image appearing like 1:1, it will not be a Macro Lens. If the effective magnification of an zoom lens is not known, it can be determined with test shots. 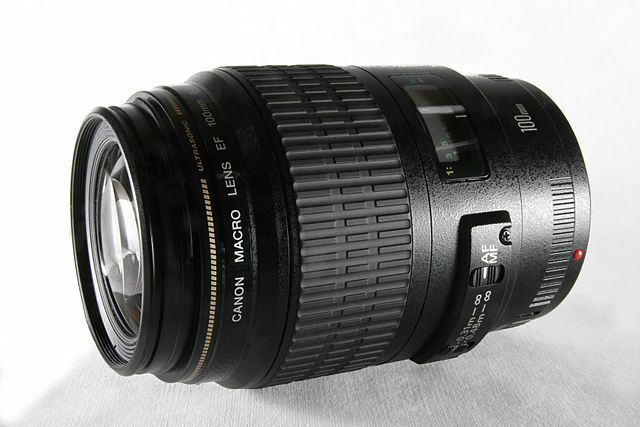 A lens is referred as Macro Lens if the optical magnification crosses 1:4. Traditional lenses get a maximum magnification ratio ranging from 1:7 to 1:9, regardless whether it is a prime lens or a zoom lens. You can read another important related article on Macro Photography we published ago if you already know about Macro Lens itself. A true macro lens is distinguished by the fact that it is designed for the best image quality at finite distances. A macro lens usually has a smaller maximum aperture (i.e. higher f-number ) than a normal lens. This reduces the optical errors and increases the image depth of field, which in turn decreases inversely with the object distance. Most manufacturers offer universal macro lenses with 50 to 100 mm focal length. There are macro lenses with 180 or 200 mm focal length for greater distance. The maximum possible magnification of these lenses is usually 1:2 or 1:1, with some designs they cover the range from 1:2 to 1:1 with an additional close-up lens or an intermediate ring. These lenses are usually in terms of image quality, is also good for taking photo for normal shooting distances. Compared with standard lenses of the same focal length, there are some limitations : Because of the complicated version size and weight are usually higher; The autofocus mechanism; because of the significantly larger adjustment range is considerably slower. Some models therefore provide a way to limit the range of adjustment. Instead of an expensive macro lens can be a close-up lens. The image quality depends mainly on the quality of the close-up lens. So-called reverse position can be used with a normal lens. However, it will require a reversal ring to fix the lens with the filter size of the camera. This reversal ring robbed the lens mostly completely all automatic functions, especially the autofocus function and the regulation of the diaphragm. Polarizing Filter is a polarizer for light source to be entered through the Lens, is based on dichroism and split up light into beams of different wavelengths. Cite this article as: Abhishek Ghosh, "Macro Lens : Properties and Alternatives," in The Customize Windows, March 24, 2013, April 21, 2019, https://thecustomizewindows.com/2013/03/macro-lens-properties-and-alternatives/.